Today, 14 November 2011, 12 year old Kaine Ward from Hertfordshire and 9 year old Macy Staisick from Darlington will join the new West End cast of Billy Elliot the Musical which is now in its seventh year at the Victoria Palace Theatre. Kaine will become the twenty-eighth boy to play the title role in the West End and the 62nd boy to play the role worldwide, including Jamie Bell who played Billy Elliot in the award-winning film. He is joined by Macy who plays Dance Teacher Mrs Wilkinson’s daughter, Debbie. Kaine will alternate the role of Billy with Ryan Collinson (13 years old from Southport), Josh Baker (13 years old from Rochester) and Adam Vesperman (13 years old from Seattle, Washington, USA) and Macy will alternate the role of Debbie with Francesca Mango (11 years old from Northumberland) and Emily Williams (10 years old East Wingate, County Durham). Based on the Oscar nominated film, Billy Elliot the Musical is an inspirational story of one boy’s dream to realise his ambitions against the odds. Set in the North East of England against the background of the historic 1984/85 miners’ strike, Billy pursues his passion for dance in secret to avoid disapproval of his struggling family. Billy Elliot the Musical features music by Elton John, book and lyrics by Lee Hall, is directed by Stephen Daldry with choreography by Peter Darling. The production features scenic design by Ian MacNeil, the associate director is Julian Webber, costume design is by Nicky Gillibrand, lighting design by Rick Fisher and sound design by Paul Arditti. Musical supervision and orchestrations are by Martin Koch. From 14 November the West End cast comprises Kaine Ward (12 years old from Hertfordshire), Ryan Collinson (13 years old from Southport), Josh Baker (13 years old from Rochester) and Adam Vesperman (13 years old from Seattle, Washington, USA) who alternate the role of Billy. Reece Barrett (13 years old from Exeter), Connor Kelly (13 years old from Scunthorpe), Connor Lawson (13 years old from Shotton, County Durham) and Joe Massey (12 years old from South Wirrell) who alternate the role of Billy’s best friend Michael; Macy Stasiak (9 years old from Darlington), Francesca Mango (11 years old from Northumberland) and Emily Williams (10 years old East Wingate, County Durham) will alternate the role of Debbie. They perform alongside Gillian Bevan (Mrs. Wilkinson), Deka Walmsley (Dad), Michael Peavoy (Tony), Ann Emery (Grandma), Sean Kearns (George), Kay Milbourne (Dead Mum), Simon Ray Harvey (Mr. Braithwaite), Barnaby Meredith (Older Billy) and ensemble members Craig Armstrong, David Bardsley, Romy Baskerville, Paul Basleigh, James Butcher, Spencer Cartwright, Jaymz Denning, Caroline Deverill, Helen French, Sergio Giacomelli, Kieran Jae, Connor McAllister, Steve Paget, Ryan Pidgen, and Dan Reilly and swings Alan Bradshaw, Dawn Buckland, Lucinda Collins, Ian Gareth Jones and Mike Scott. The internationally award-winning show, which opened at the Victoria Palace Theatre in 2005, has been seen by over 7.5 million people worldwide, including 3.5 million in the West End. 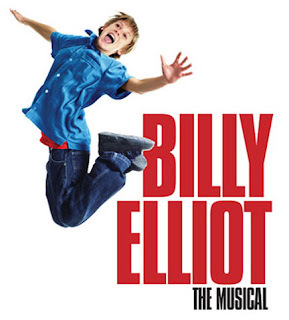 Billy Elliot the Musical has also been staged in Sydney, Melbourne, Chicago, Toronto and Seoul, South Korea. The show continues to perform at the Imperial Theatre on Broadway and on tour across North America and further international productions are planned. Billy Elliot the Musical is presented in London by Universal Pictures Stage Productions, Working Title Films and Old Vic Productions in association with Tiger Aspect and is based on the Universal Pictures/ Studio Canal film.